A new biography highlights the rich, black-and-white photography of Balthazar Korab, whose sharp imagery helped give a face to modernist architecture in mid-century America. In 1952, a Hungarian named Balthazar Korab—self-described as “just a student of architecture with a camera in his pocket”—visited his first monumental modernist building, Le Corbusier’s Villa Savoye, outside of Paris. Korab, who had escaped Hungary in 1949 when Budapest was under threat of Soviet occupation, was studying at the distinguished École des Beaux-Arts in Paris. Within two years, his path would veer even further into what is now architectural history. After marrying a woman from Michigan, he moved to Detroit, and once there, impressed architect Eero Saarinen enough to get hired on the spot as a designer at his firm. 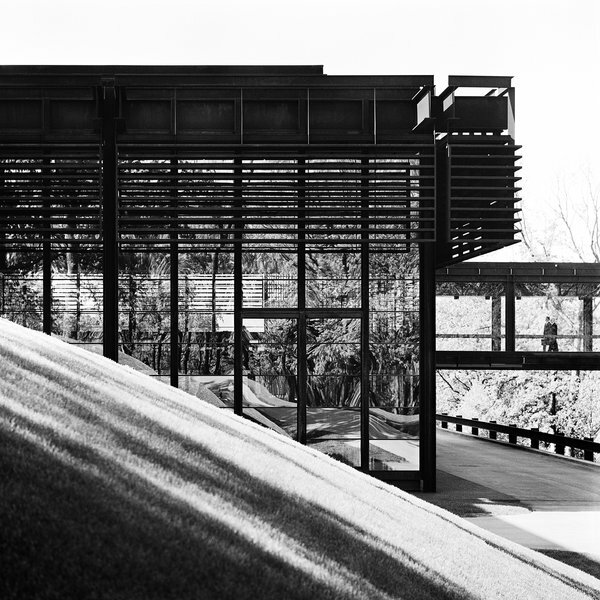 No one captured the midcentury modernism of the Mad Men era better than Balthazar Korab. As one of the period’s most prolific and celebrated architecture photographers, Korab captured images as graceful and elegant as his subjects. His iconic photographs for master architects immortalized their finest works, while leaving his own indelible impact on twentieth century visual culture. In this riveting illustrated biography-the first dedicated solely to his life and career-author John Comazzi traces Korab’s circuitous path to a career in photography. He paints a vivid picture of a young man forced to flee his native Hungary, who goes on to study architecture at the famed École des Beaux-Arts in Paris before emigrating to the United States and launching his career as Eero Saarinen’s on-staff photographer. The book includes a portfolio of more than one hundred images from Korab’s professionally commissioned architecture photography as well as close examinations of Saarinen’s TWA Terminal and the Miller House in Columbus, Indiana. Though he started as an architect, his camera skills are what “quickly caught the attention of Saarinen and the senior associates,” and Korab and his camera became integrated into the firm’s design development process. He used still images to highlight Saarinen’s organic modernist forms, from the TWA Terminal at John F. Kennedy International Airport to the IBM Manufacturing and Training Facility in Rochester, Minnesota. 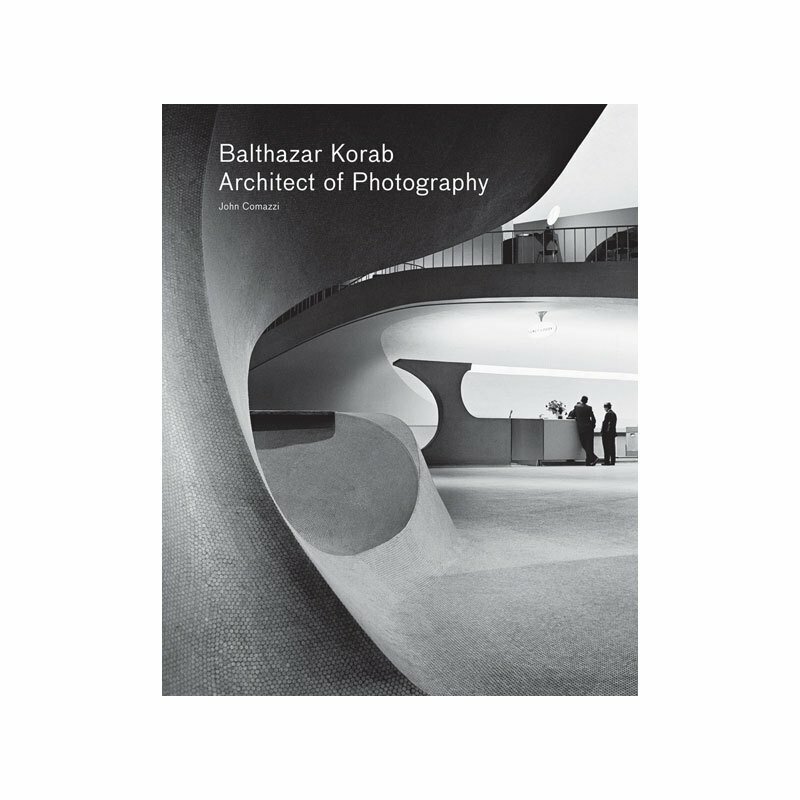 The first monograph on the photographer, Balthazar Korab: Architect of Photography (Princeton Architectural Press, 2012), collects over 200 images, including work Korab did outside of the Saarinen office for architects like William Kessler and Minoru Yamasaki. Two places he often photographed, Cranbrook Academy, a half mile down the road from Saarinen headquarters, and the village-turned-architecture-showcase of Columbus, Indiana, solidified Korab’s interest in the modern vernacular, a theme he has often revisited in his 56-year career.